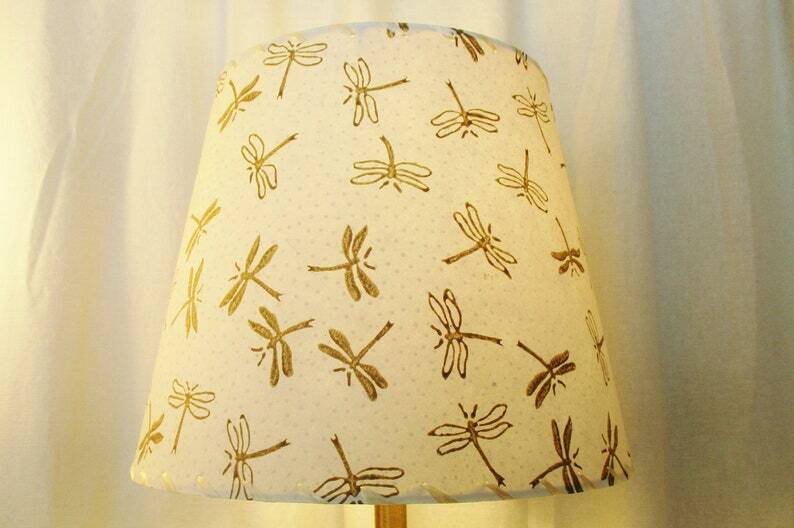 For this 8" x 11" x 9" lampshade, gold dragonflies are silkscreened on to a cream colored tree free lokta paper. 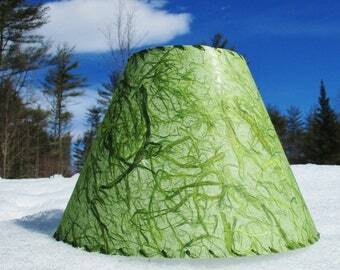 This beautiful simple lamp shade brings a touch of nature indoors, but with a contemporary feel. The off white paper has tiny little dots which gives it a nice depth and texture. This shade is in stock and ready to mail. 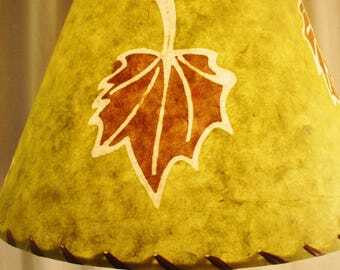 When your lamp is lit, it has a warm soft glow and the dragonfly design really stands out. The paper is laminated to a styrene backing and then stitched with raffia on to the hardware. 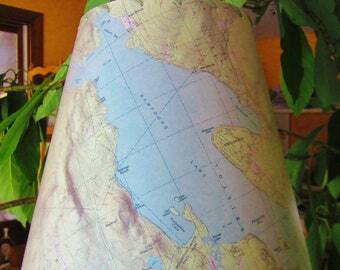 There may be seams in the paper to make it fit the pattern. These are on the back sides of the shade and are visible in the photos so please look at photo #6 to see this lovely shade in its entirety. It should be kept out of direct sunlight and dusted regularly to keep its best appearance. This shade can also be made with a clip top that slips directly over the bulb, or an uno fitting for your bridge lamp where the bulb points downward. Please let me know if you need something other than a washer top on your shade. All sales final so please be sure this size and hardware will work for your lamp. Other sizes may be available, please convo me if you need a different size.